Costa Rica is a very small country but has managed to protect the largest proportion of its land than any other country in the world. Throughout the country representative sections of all the major habitats and ecosystems are protected from rainforests, tropical dry forests, cloud forest, marine areas to wetlands. The National Conservation Areas System SINAC protects 161 areas including 25 National Parks, 8 Biological Reserves, 32 Protected Zones, and 58 wildlife refuges. 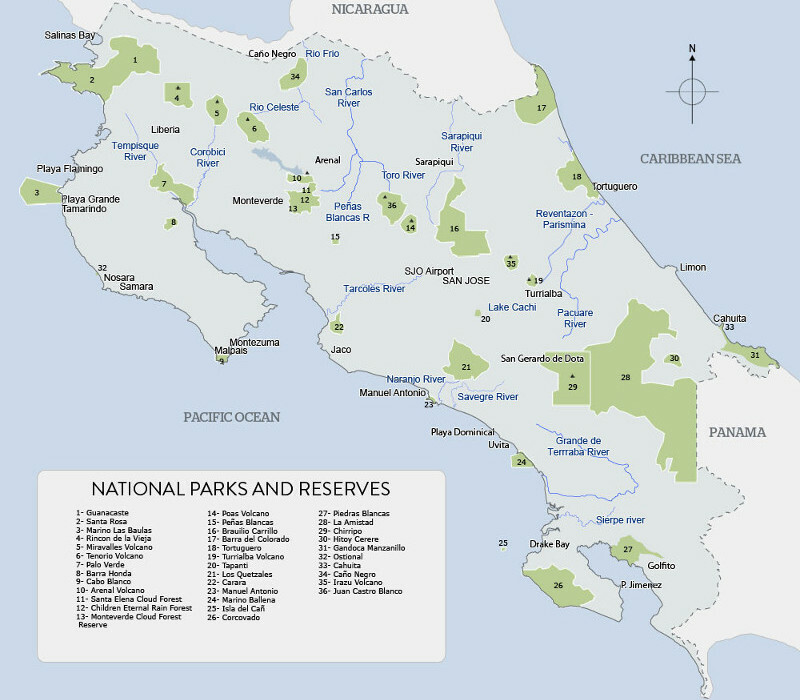 Costa Rica has been a world leader in conservation policies with protected areas and the best way to support these progressive and sustainable conservation policies is to visit national parks during your visit to the country. All fees and donations support the local community and park maintenance, so please go ahead and include visits to national parks in your agenda. 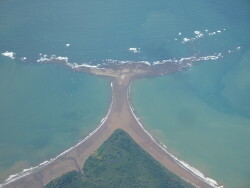 Another important aspect is that this wide range of protected land and water provides Costa Ricans and foreign travelers the privilege of admiring and studying the wonders of nature, protect the soil, watersheds and shield an estimated of 75 percent of all Costa Rica's species of flora and fauna, including species that have all but disappeared in neighboring countries.